Below you fill find all funeral homes and cemeteries in or near Tunkhannock. Suburbs of Tunkhannock: Center Moreland. 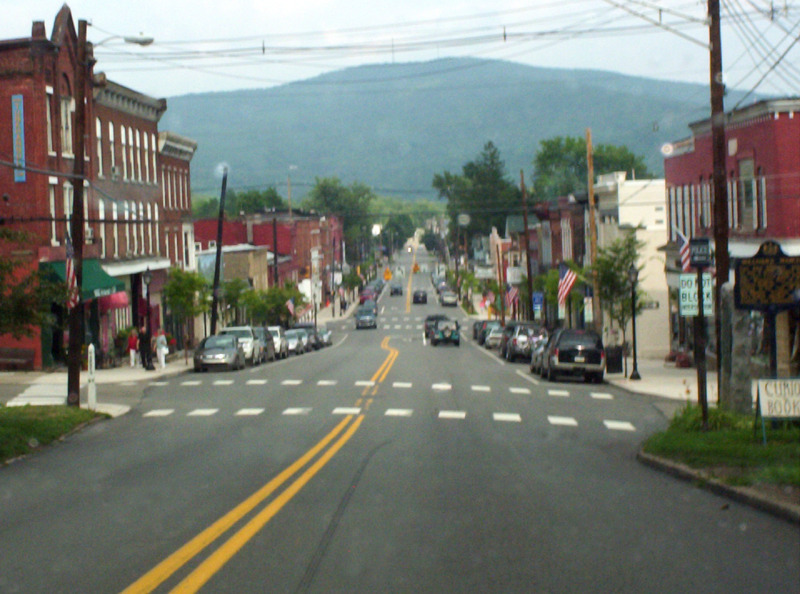 Tunkhannock is also known as: Wyoming County / Tunkhannock borough. Zip codes in the city: 18657. Wyoming County funeral flowers can be purchased from one of the local funeral shops we partner with. Some of the notable people born here have been: Robyn Griggs (actor). Tunkhannock is a borough in Wyoming County, Pennsylvania, 31 miles (50 km) northwest of Wilkes-Barre. In the past, lumbering was carried on extensively. Today, many residents are employed by the Procter & Gamble plant in nearby Washington Township. As of the 2010 census, the borough population was 1,836. It is the county seat of Wyoming County. Tunkhannock is in the Scranton–Wilkes-Barre–Hazleton, PA Metropolitan Statistical Area.The name Tunkhannock comes from the Minsi-Len'api term Ptuk'hanna'unk, which means "Bend-in-river-place," especially to the town's west, upstream at the radical bend called "The Neck." Modern Tunkhannock, Lackawanna County, The Tunkhannock Historic District, bounded by Tioga, Pine, and Harrison Sts and Wyoming Ave, was added to the National Register of Historic Places in August 2005.Tunkhannock is home to the Wyoming County Historical Society and Genealogical Library. The library offers a major source of research material to the public. The collection includes numerous books on New England ancestry, newspapers dating back to 1797 and census records for Wyoming and surrounding counties from 1790 to 1930. Also on file are records for over 90 area cemeteries as well as various other information about local history.Tunkhannock is also the home of the Northern Tier Symphony Orchestra, under the direction of Conductor Robert Helmacy. It was noted by News & Observer on November 25th, 2018 that Donald Eugene Smith passed on in Cary, North Carolina. Smith was 84 years old and was born in Tunkhannock, PA. Send flowers to express your sorrow and honor Donald Eugene's life. It was reported by Susquehanna County Independent on August 6th, 2017 that Berneta Gardner (Tewksbury) passed on in Tunkhannock, Pennsylvania. Ms. Gardner was 87 years old. Send flowers to share your condolences and honor Berneta's life. It was disclosed by Susquehanna County Independent on May 17th, 2017 that Alvin Seamans passed away in Tunkhannock, Pennsylvania. Seamans was 90 years old. Send flowers to express your sorrow and honor Alvin's life. It was written by Susquehanna County Independent on April 26th, 2017 that Marian Darrow (Swift) perished in Tunkhannock, Pennsylvania. Ms. Darrow was 95 years old and was born in Apulia, NY. Send flowers to share your condolences and honor Marian's life. It was noted by Susquehanna County Independent on April 12th, 2017 that Clara Ward (Stone) passed away in Tunkhannock, Pennsylvania. Ms. Ward was 70 years old and was born in Binghamton, NY. Send flowers to share your condolences and honor Clara's life. It was revealed by Susquehanna County Independent on March 15th, 2017 that Anna Bartels (Way) passed on in Tunkhannock, Pennsylvania. Ms. Bartels was 99 years old and was born in Wilmington, DE. Send flowers to express your sympathy and honor Anna's life. It was written by Susquehanna County Independent on March 1st, 2017 that Louise Davis (Welch) died in Tunkhannock, Pennsylvania. Ms. Davis was 92 years old. Send flowers to share your condolences and honor Louise's life. It was written on December 1st, 2016 that Margaret Amelia Reid (Latsha) passed away in Tunkhannock, Pennsylvania. Ms. Reid was 92 years old and was born in Lyndhurst, NJ. Send flowers to express your sorrow and honor Margaret Amelia's life. It was disclosed by Klamath Falls Herald and News on November 15th, 2016 that Dana M Kalmik (Donahue) perished in Klamath Falls, Oregon. Ms. Kalmik was 91 years old and was born in Tunkhannock, PA. Send flowers to express your sympathy and honor Dana M's life. It was written by Susquehanna County Independent on June 1st, 2016 that Eleanor Hunter passed on in Tunkhannock, Pennsylvania. Hunter was 92 years old. Send flowers to share your condolences and honor Eleanor's life. As of the United States Census 2000 census, the borough population was 1,911. Today, many residents are employed by the Procter & Gamble plant nearby. In 1900, 1,305 people lived here, and in 1910, 1,598 people lived here. Tunkhannock is a borough in Wyoming County, Pennsylvania County, Pennsylvania, 31 miles (50 km) northwest of Wilkes-Barre, Pennsylvania In the past, lumbering was carried on extensively. The chief industry was tanning and there were spool and tub factories, furnaces and machine shops, stave and planing mills, and witch hazel distilleries. The official website for the city of Tunkhannock is http://www.tunkhannock.com/. A mass of Christian burial will be held at 10 a.m. on Monday, November 8, 2010, from the Church of the Nativity BVM, Tunkhannock. Arrangements by Sheldon-Kukuchka Funeral Home, Inc., 73 W. Tioga St. Tunkhannock, PA. Here are the results for funeral homes in Tunkhannock Pennsylvania. You can find some of the best funeral homes businesses serving Tunkhannock. Listing all funeral homes in Tunkhannock, Pennsylvania so you can easily send flowers to any location (same day delivery) or find any funeral service. We work with local florists and flower shops to offer same day delivery. You will find budget sympathy flowers in Tunkhannock here. Our funeral flowers are cheap in price but not in value.